What Is The Heliocentric Model Of The Universe? The Scientific Revolution, which took place in the 16th and 17th centuries, was a time of unprecedented learning and discovery. During this period, the foundations of modern science were laid, thanks to breakthroughs in the fields of physics, mathematics, chemistry, biology, and astronomy. And when it comes to astronomy, the most influential scholar was definitely Nicolaus Copernicus, the man credited with the creation of the Heliocentric model of the Universe. Based on ongoing observations of the motions of the planets, as well as previous theories from classical antiquity and the Islamic World, Copernicus’ proposed a model of the Universe where the Earth, the planets and the stars all revolved around the Sun. In so doing, he resolved the mathematical problems and inconsistencies arising out of the classic geocentric model and laid the foundations for modern astronomy. While Copernicus was not the first to propose a model of the Solar System in which the Earth and planets revolved around the Sun, his model of a heliocentric universe was both novel and timely. For one, it came at a time when European astronomers were struggling to resolve the mathematical and observational problems that arose out of the then-accepted Ptolemaic model of the Universe, a geocentric model proposed in the 2nd century CE. In addition, Copernicus’ model was the first astronomical system that offered a complete and detailed account of how the Universe worked. Not only did his model resolves issues arising out of the Ptolemaic system, it offered a simplified view of the universe that did away with complicated mathematical devices that were needed for the geocentric model to work. And with time, the model gained influential proponents who contributed to it becoming the accepted convention of astronomy. The geocentric model, in which planet Earth is the center of the Universe and is circled by the Sun and all the planets, had been the accepted cosmological model since ancient times. By late antiquity, this model had come to be formalized by ancient Greek and Roman astronomers, such as Aristotle (384 – 322 BCE) – who’s theories on physics became the basis for the motion of the planets – and Ptolemy (ca. 100 – ca. ?170 CE), who proposed the mathematical solutions. The geocentric model essentially came down to two common observations. First of all, to ancient astronomers, the stars, the Sun, and the planets appeared to revolve around the Earth on daily basis. Second, from the perspective of the Earth-bound observer, the Earth did not appear to move, making it a fixed point in space. The belief that the Earth was spherical, which became an accepted fact by the 3rd century BCE, was incorporated into this system. 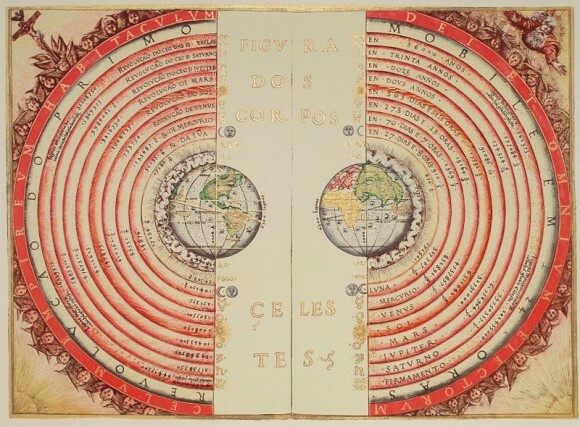 As such, by the time of Aristotle, the geocentric model of the universe became one where the Earth, Sun and all the planets were spheres, and where the Sun, planets and stars all moved in perfect circular motions. However, it was not until Egyptian-Greek astronomer Claudius Ptolemaeus (aka. Ptolemy) released his treatise Almagest in the 2nd century BCE that the details became standardized. Drawing on centuries of astronomical traditions, ranging from Babylonian to modern times, Ptolemy argued that the Earth was in the center of the universe and the stars were all at a modest distance from the center of the universe. Each planet in this system is also moved by a system of two spheres – a deferent and an epicycle. The deferent is a circle whose center point is removed from the Earth, which was used to account for the differences in the lengths of the seasons. The epicycle is embedded in the deferent sphere, acting as a sort of “wheel within a wheel”. The purpose of he epicycle was to account for retrograde motion, where planets in the sky appear to be slowing down, moving backwards, and then moving forward again. Unfortunately, these explanations did not account for all the observed behaviors of the planets. Most noticeably, the size of a planet’s retrograde loop (especially Mars) were sometimes smaller, and larger, than expected. To alleviate the problem, Ptolemy developed the equant – a geometrical tool located near the center of a planet’s orbit that causes it to move at a uniform angular speed. To an observer standing at this point, a planet’s epicycle would always appear to move at uniform speed, whereas it would appear to be moving at non-uniform speed from all other locations.While this system remained the accepted cosmological model within the Roman, Medieval European and Islamic worlds for over a thousand years, it was unwieldy by modern standards. However, it did manage to predict planetary motions with a fair degree of accuracy, and was used to prepare astrological and astronomical charts for the next 1500 years. By the 16th century, this model was gradually superseded by the heliocentric model of the universe, as espoused by Copernicus, and then Galileo and Kepler. In the 16th century, Nicolaus Copernicus began devising his version of the heliocentric model. Like others before him, Copernicus built on the work of Greek astronomer Atistarchus, as well as paying homage to the Maragha school and several notable philosophers from the Islamic world (see below). By the early 16th century, Copernicus summarized his ideas in a short treatise titled Commentariolus (“Little Commentary”). Thereafter he continued gathering data for a more detailed work, and by 1532, he had come close to completing the manuscript of his magnum opus – De revolutionibus orbium coelestium (On the Revolutions of the Heavenly Spheres). In it, he advanced his seven major arguments, but in more detailed form and with detailed computations to back them up. By placing the orbits of Mercury and Venus between the Earth and the Sun, Copernicus was able to account for changes in their appearances. In short, when they are on the far side of the Sun, relative to Earth, they appear smaller but full. When they are on the same side of the Sun as the Earth, they appear larger and “horned” (crescent-shaped). It also explained the retrograde motion of planets like Mars and Jupiter by showing that Earth astronomers do not have a fixed frame of reference but a moving one. This further explained how Mars and Jupiter could appear significantly larger at certain times than at others. In essence, they are significantly closer to Earth when at opposition than when they are at conjunction. However, due to fears that the publication of his theories would lead to condemnation from the church (as well as, perhaps, worries that his theory presented some scientific flaws) he withheld his research until a year before he died. It was only in 1542, when he was near death, that he sent his treatise to Nuremberg to be published. As already noted, Copernicus was not the first to advocate a heliocentric view of the Universe, and his model was based on the work of several previous astronomers. The first recorded examples of this are traced to classical antiquity, when Aristarchus of Samos (ca. 310 – 230 BCE) published writings that contained references which were cited by his contemporaries (such as Archimedes). Now you are aware that ‘universe’ is the name given by most astronomers to the sphere whose center is the center of the earth and whose radius is equal to the straight line between the center of the sun and the center of the earth. This is the common account… as you have heard from astronomers. But Aristarchus of Samos brought out a book consisting of some hypotheses, in which the premises lead to the result that the universe is many times greater than that now so called. His hypotheses are that the fixed stars and the sun remain unmoved, that the earth revolves about the sun in the circumference of a circle, the sun lying in the middle of the orbit, and that the sphere of the fixed stars, situated about the same center as the sun, is so great that the circle in which he supposes the earth to revolve bears such a proportion to the distance of the fixed stars as the center of the sphere bears to its surface. This gave rise to the notion that there should be an observable parallax with the “fixed stars” (i.e an observed movement of the stars relative to each other as the Earth moved around the Sun). According to Archimedes, Aristarchus claimed that the stars were much farther away than commonly believed, and this was the reason for no discernible parallax. The only other philosopher from antiquity who’s writings on heliocentrism have survived is Seleucis of Seleucia (ca. 190 – 150 BCE). A Hellenistic astronomer who lived in the Near-Eastern Seleucid empire, Seleucus was a proponent of the heliocentric system of Aristarchus, and is said to have proved the heliocentric theory. According to contemporary sources, Seleucus may have done this by determining the constants of the geocentric model and applying them to a heliocentric theory, as well as computing planetary positions (possibly using trigonometric methods). Alternatively, his explanation may have involved the phenomenon of tides, which he supposedly theorized to be related to the influence of the Moon and the revolution of the Earth around the Earth-Moon ‘center of mass’. In the 5th century CE, Roman philosopher Martianus Capella of Carthage expressed an opinion that the planets Venus and Mercury revolved around the Sun, as a way of explaining the discrepancies in their appearances. Capella’s model was discussed in the Early Middle Ages by various anonymous 9th-century commentators, and Copernicus mentions him as an influence on his own work. During the Late Middle Ages, Bishop Nicole Oresme (ca. 1320-1325 to 1382 CE) discussed the possibility that the Earth rotated on its axis. In his 1440 treatise De Docta Ignorantia (On Learned Ignorance) Cardinal Nicholas of Cusa (1401 – 1464 CE) asked whether there was any reason to assert that the Sun (or any other point) was the center of the universe. Indian astronomers and cosmologists also hinted at the possibility of a heliocentric universe during late antiquity and the Middle Ages. In 499 CE, Indian astronomer Aaryabhata published his magnum opus Aryabhatiya, in which he proposed a model where the Earth was spinning on its axis and the periods of the planets were given with respect to the Sun. He also accurately calculated the periods of the planets, times of the solar and lunar eclipses, and the motion of the Moon. In the 15th century, Nilakantha Somayaji published the Aryabhatiyabhasya, which was a commentary on Aryabhata’s Aryabhatiya. In it, he developed a computational system for a partially heliocentric planetary model, in which the planets orbit the Sun, which in turn orbits the Earth. In the Tantrasangraha (1500), he revised the mathematics of his planetary system further and incorporated the Earth’s rotation on its axis. Also, the heliocentric model of the universe had proponents in the medieval Islamic world, many of whom would go on to inspire Copernicus. Prior to the 10th century, the Ptolemaic model of the universe was the accepted standard to astronomers in the West and Central Asia. However, in time, manuscripts began to appear that questioned several of its precepts. For instance, the 10th-century Iranian astronomer Abu Sa’id al-Sijzi contradicted the Ptolemaic model by asserting that the Earth revolved on its axis, thus explaining the apparent diurnal cycle and the rotation of the stars relative to Earth. In the early 11th century, Egyptian-Arab astronomer Alhazen wrote a critique entitled Doubts on Ptolemy (ca. 1028) in which he criticized many aspects of his model. Around the same time, Iranian philosopher Abu Rayhan Biruni 973 – 1048) discussed the possibility of Earth rotating about its own axis and around the Sun – though he considered this a philosophical issue and not a mathematical one. At the Maragha and the Ulugh Beg (aka. 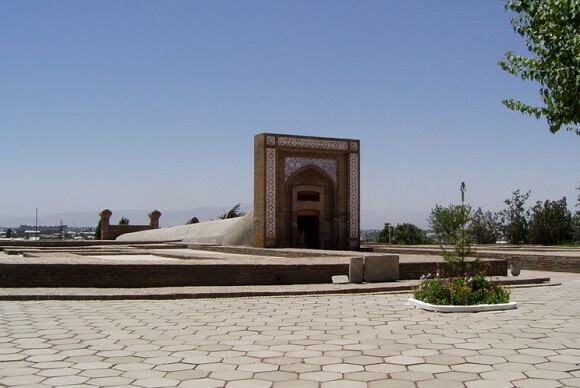 Samarkand) Observatory, the Earth’s rotation was discussed by several generations of astronomers between the 13th and 15th centuries, and many of the arguments and evidence put forward resembled those used by Copernicus. Despite his fears about his arguments producing scorn and controversy, the publication of Copernicu’s theories resulted in only mild condemnation from religious authorities. Over time, many religious scholars tried to argue against his model. But within a few generation’s time, Copernicus’ theory became more widespread and accepted, and gained many influential defenders in the meantime. These included Galileo Galilei (1564-1642), who’s investigations of the heavens using the telescope allowed him to resolve what were seen as flaws in the heliocentric model, as well as discovering aspects about the heavens that supported heliocentrism. For example, Galileo discovered moons orbiting Jupiter, Sunspots, and the imperfections on the Moon’s surface – all of which helped to undermine the notion that the planets were perfect orbs, rather than planets similar to Earth. While Galileo’s advocacy of Copernicus’ theories resulted in his house arrest, others soon followed. German mathematician and astronomer Johannes Kepler (1571-1630) also helped to refine the heliocentric model with his introduction of elliptical orbits. Prior to this, the heliocentric model still made use of circular orbits, which did not explain why planets orbited the Sun at different speeds at different times. By showing how the planet’s sped up while at certain points in their orbits, and slowed down in others, Kepler resolved this. In addition, Copernicus’ theory about the Earth being capable of motion would go on to inspire a rethinking of the entire field of physics. Whereas previous ideas of motion depended on an outside force to instigate and maintain it (i.e. wind pushing a sail) Copernicus’ theories helped to inspire the concepts of gravity and inertia. These ideas would be articulated by Sir Isaac Newton, who’s Principia formed the basis of modern physics and astronomy. Although its progress was slow, the heliocentric model eventually replaced the geocentric model. In the end, the impact of its introduction was nothing short of a revolutionary. Henceforth, humanity’s understanding of the universe and our place in it would be forever changed. We have written many interesting articles on the heliocentric model here at Universe Today. For starters, here’s Galileo Returns to the Vatican and The Earth Goes Around the Sun, Who Was Nicolaus Copernicus? and What is the Difference Between the Geocentric and Heliocentric Models? For more information on heliocentrism, take a look at these articles from NASA on Copernicus or the center of the galaxy. Astronomy Cast also has an episode on the subject, titled Episode 77: Where is the Center of the Universe and Episode 302: Planetary Motion in the Sky. Previous PostPrevious What’s Ahead for Recovered SpaceX Falcon 9 Booster?